I lose 90% of my volume when my Adcom is cranked all the way up? Long time Polk fan first time here on the form. I am the new owner of Polks SDA SRS 1.2 powered by Adcom GFA 555 and GFP 555 with IC cable. I am losing a ton of volume 20-30 seconds after turning my amp all the way up. I turn it down for 20 or 30 seconds and it cranks back up. It’s almost like it resets its self? I want these bad boys to SING! Do i need another amp? or answers? Any help out there? Stop turning the volume up past 12 noon as your amp is sending clipped signals to the speakers, which is tripping the thermal reset designed to save the tweeters from cooking due to people like you. Now you've also weakened the tweeter protection circuit by repeatedly tripping it. You won't have to "turn the amp all the way up" now for it to trip. And yes send the Adcom off to a new home; those Polks deserve something much better once you get a grasp of what not to do. I hope you don't start up your SS with the pedal pressed to the floor! I'm assuming you own a SS by your handle. Run my 3.1TL with same amp to extreme levels but never past the point of clipping. Amp indicator lights stay off. It's really loud. Don't push the amp into clipping. Geez you'll fry them speakers. Try another amp and pre-amp. My Adcom 555II amp and Adcom 450 preamp seems to limit the volume somewhat. I could turn it to the 12:00 position on the Adcom set. I then switched to a NAD system, and 10:00 is fine on their preamp. 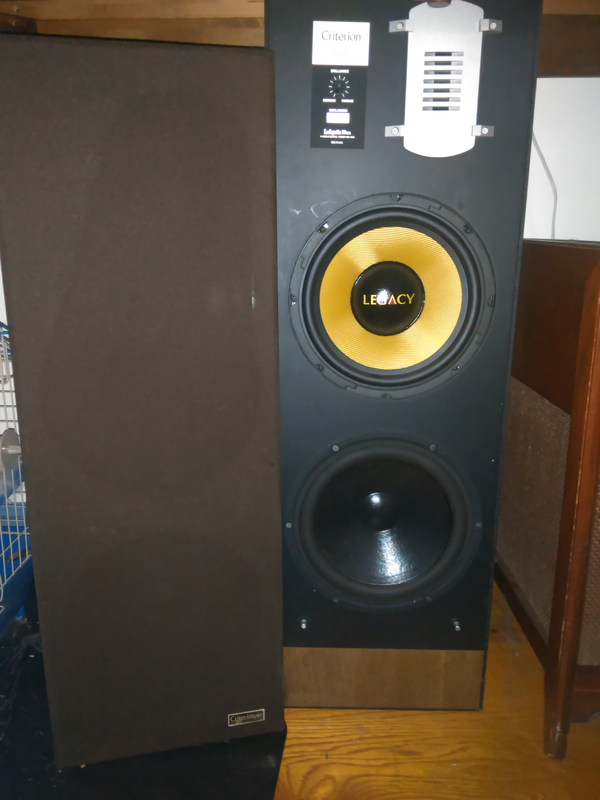 I'm comparing 2 different designs and the power output might be the same for each system in their positions, but the volume is the same and I dare not go past 12:00 with the NAD set. I'd be asking for damage to the speakers if I did. They are both loud enough. Dial positions are meaningless after 12:00. If you need to push it past 12:00 position, re-evaluate how loud you want your sound to be. Or, your power amp is mismatched to the sesitivity of your speakers. READ up on sensitivity of speakers. 10 watts is usually good enough until we crank it up. Lower sensitivity speakers require MORE power. I say get yourself some Cerwin Vega D9's and blow your eardrums out. You can't be serious that that you're trying to max out a 555 amp? And your amp lights aren't lighting up with distortion indications. Maybe you turn the dial to max and trigger the DANGER relay BEFORE the warning lights even have a chance to light up. Not too many people do what you're doing. Not many at all! It seems you have zero knowledge of stereo gear. Get some knowledge asap. 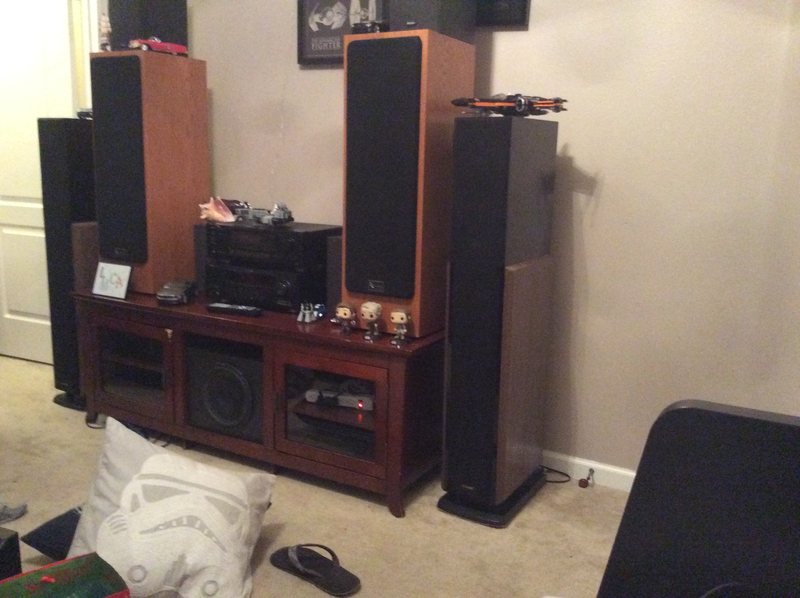 But like others say, you might be pushing the limits of everything, especialy your speakers. Maybe you need some Cerwin Vega's, DCM 212's or JBL or Mackie "Pro" speakers. I'm also an Adcom GFA-555 owner and never had a problem w/ pushing my SDA 2Bs or any other speaker I have ever owned or now have . True my Advent Maestros need gobs of power and my pre is usually @ about 11:00 w/ it being lower for the Polks. My amp has never even gotten warm on the heat sinks running a test w/ multiple speakers. I can't believe like others have said those yellow distortion warning lights should have come on or there is a problem w/ the preamp and try another brand. My model just for full disclosure is a rack face model bought from Audio Classics for $300 and until I hear something else it's staying in my rack. No affiliation to AC just a customer and a NAD 1020a doing backup closet service. I guess Frank won't be coming back due to the scathing yet truthful posts. Nice job guys! It's not what you know, but who you know...ya know? Awwe hell that's nothing......you should've seen the well deserved **** chewings I got when I posted pics of my 2.3s stacked when I was brand new here. Or better yet when I posted pics of my crossover redo with bypass caps. I could've packed up and crawled under a rock to. There's far too much to learn here to be sensitive about being shown that you're doing things incorrectly if you're actually serious about your rig. Everybody has seen my layout. Or what it used to look like. It can't be worse...can it? Oh yes it sure can as I could bastardize a set up with the best of em Sadly or better yet gladly I don't have any pics of my 2.3s stacked on top of a pair of klh 12's with a little ceiling jacking to fit them in. Or a pair of Sansui sp3500's stacked on top of 2.3's or a pair of CRS's stacked on the same 2.3s in a multi preamp-amp configuration. Thankfully that non-sense is behind me and my rig has never sounded better because of the advice I've gotten here and paid attention to. Never stacked any speakers but unfortunately I have a 9' pool table between my SDA's. Now I would be embarrassed to show that as something I used to think was cool or even used. I'm glad I got a subscription to Stereo Review early on. Those yearly Audio Review equipment Directory's showed me the universe of good Audio stuff. If the brand wasn't in those magazines, I knew what to avoid. But my budget was still VERY limited!!! I'm glad I was given credit by a fine Stereo Store owner when I was about 21. He co-signed for me so I could get a great TV, Mitsubishi high-end VCR and Yamaha surround sound receiver from him. I never missed a payment either. Thankfully I've never been that hard up for tunes... I grew up on 5Bs and J-pan built JVC components (high current receiver), so craptastic pieces like that were left to experiment fodder. Now, the LR rig is a NAD C320BEE receiver with a 4120? 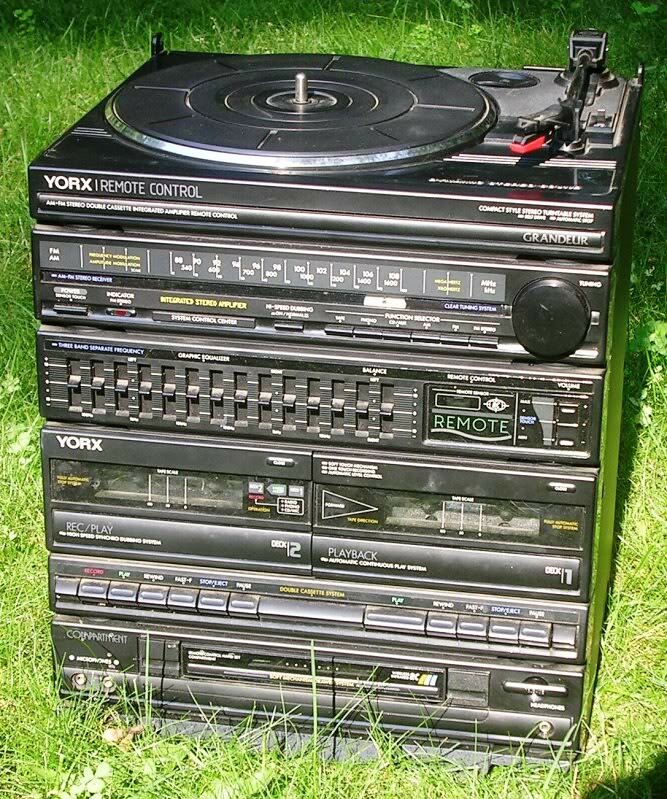 Tuner and a pioneer CD carousel. There's a Sony ES dual tape deck in the wings that needs the rollers refurbished (I love this deck). All running SDA IIs. Prior to that, it was a pioneer receiver running RTA 11s, and prior yet: same receiver and tall criterions. They came to me missing both the driver and passive, but the replacements don't sound half bad.... Obviously they've been usurped. 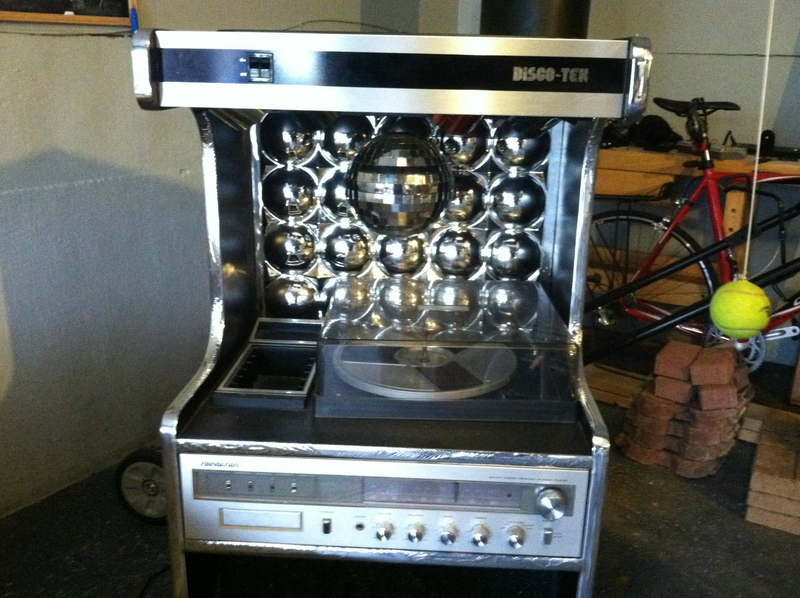 Soundesign Disco-Tek or go home. I lost all my volume a couple of years ago when I had it turned all the way up. Expensive mistake. LOL. I’ve never seen it, but can ANYTHING be worse than this? Looking back, there were so many things wrong with this, from the sub in the bottom of the cabinet, to the Infinities on top, and the electronics in between on this big vibrating table. Yes, mine is currently worse.... No joke. That’s one of my better systems of past years... send me pics via PM if you aren’t wanting to post publicly, I won’t mock them. I’m sure I’ve seen worse. I will see if my friends has pics of my other systems tomorrow morning, some of them were really REALLY bad. Sad part is I was thinking about doing it once again with Joe's old 1.2tl's. until he talked me out of it just before I brought them home. Thank you Joe wherever you are. LOL, better late than never I guess. Except ol' Frank hasn't posted a thing in the 10 months since this one post. Tony you are right on both counts! I could not find the "Sarcasm Emoji"